UPDATE: Sept. 3, 2015 – see bottom of this page. If you own a GoPro camera then you probably agree that the internal battery is arguably the weakest link in the camera system. 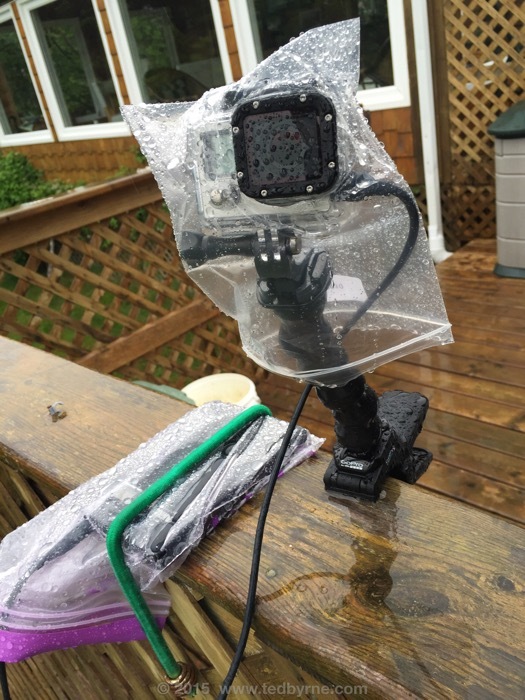 Specifically, your operation time is limited to 60-90 min max, and dramatically less so if you’re using wifi and the LCD on the Hero 4 Silver. Enter the Limefuel battery… a project I funded on Kickstarter back in March. This extended battery promises to deliver 3x the capacity of the standard GoPro battery, all while sitting fully enclosed in the waterproof case (you receive a larger camera back/enclosure to accommodate the larger physical dimensions of the Limefuel Epic). Mine arrived today with the first wave of deliveries to backers. It’s going through its first charge now… (photo below) – and time will tell how it performs and holds its own… check back here for an update and mini-review. 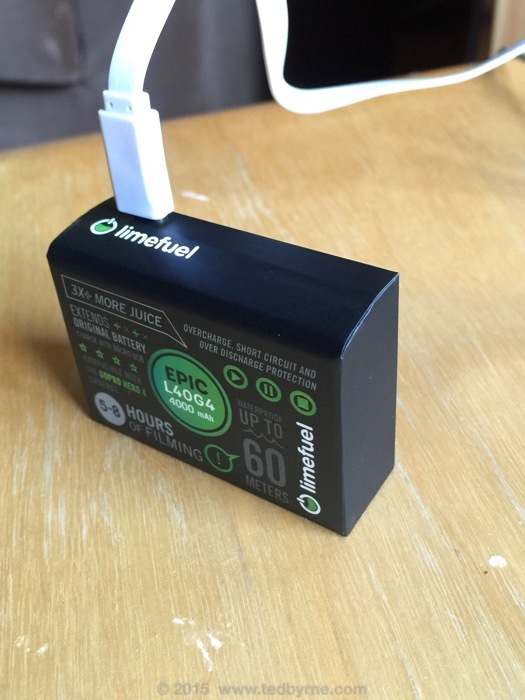 Limefuel EPIC L40G4 4000 mAh for Hero 4 Silver – first charge. Duration of time-lapse was a very impressive 9 hours and 50 minutes on battery power. By turning off the wifi I should be able to squeeze a bit more time out of it, but almost 10 hours is already pretty fantastic. This is exactly what I was hoping to receive when I backed the battery on Kickstarter. In you’re interested in getting one, you can now purchase them on Amazon (advertiser link). There are different models for various GoPro cameras, so make sure you check compatibility with your camera. BTW, here’s the bare-bones time-lapse (sorry no audio on this one). hi there, how do you know when the battery is fully charged?? Hi, there is a tiny LED that is is red when empty or partially charged and turns green when fully charged. It could be bigger and brighter, but it does the job. What would also be nice is to have a percentage indicator, i.e. 3-4 lights that show the amount of charge.